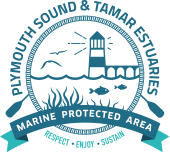 Different areas of the Plymouth Sound & Tamar Estuaries MPA are subject to different regulations and restrictions. The areas are shown in the map, with the related restrictions detailed below it. Failure to comply with the law could result in a significant fine on summary conviction, so please visit the Cornwall IFCA or Devon & Severn IFCA websites to ensure you stay up to date. Tamar Estuaries Consultative Forum/Plymouth City Council can accept no liability for any errors, omissions or changes herein. This guidance was last updated on 30 May 2018. Angling is prohibited for all species at all times. This area is a sanctuary area created by the Duke of Bedford who owns the river and adjoining land. Netting is prohibited for all species at all times. This area is a sanctuary area under the byelaws of Cornwall IFCA and Devon & Severn IFCA. Rod and line angling for Salmon and Sea trout can only be carried out within the allowed season. You must also hold a current rod licence (EA1). For details please visit the Environment Agency website. All rod and line caught freshwater eels (Anguilla anguilla), Allis shad and Twaite shad must be returned to the water alive. This includes freshwater, estuaries and inshore waters, out to a distance of six nautical miles. Rod and line angling from the shore for other sea fish is permitted all year. No fishing from a boat using sand eels (Ammodytidae) as bait. No netting with the exception of licensed Fyke or Salmon nets all year for any species. (Cornwall IFCA and Devon & Severn IFCA). No netting of any kind is permitted unless specifically licensed by the Environment Agency or Cornwall IFCA and Devon & Severn IFCA. Where netting is licensed, nets must be tended throughout and set clear of navigable channels (Dockyard Port of Plymouth). Licensed Salmon netting is prohibited in this area from 1 September to 31 May following inclusive (EA2). Any form of trawling or trammel netting is prohibited in this area (Cornwall IFCA and Devon & Severn IFCA). Please note that some or all of this area is also subject to the restrictions or designated activity in Areas G, H or I.
Rod and line angling for Salmon and Sea trout can only be carried out within the allowed season. You must also hold a current rod licence (EA1). For details please visit the Environment Agency website. Rod and line angling for freshwater eels (Anguilla anguilla), Allis shad or Twaite shad is not permitted and all unintentionally caught species must be returned to the water immediately. Rod and line angling from the shore for Bass and other sea fish is permitted all year. All Bass under 42 cm in length must be immediately returned to the water. All rod-caught Allis shad, Twaite shad and freshwater eel must be immediately returned to the water (Bass Orders). Rod and line angling and handlining from a boat for Bass is prohibited all year. Rod and line angling from a boat for sea fish other than Bass is permitted all year. No netting for any species at all times (Devon & Severn IFCA). No netting of any kind is permitted unless specifically licensed by the Environment Agency and Devon & Severn IFCA. Rod and line angling for freshwater eels (Anguilla anguilla), Allis shad or Twaite shad is not permitted and all unintentionally caught fish must be returned to the water immediately. Rod and line angling and handlining for Bass from a boat is prohibited all year (Bass Orders). Rod and line angling for Bass and other sea fish from the shore is permitted all year although all bass under 42 cm in length must be immediately returned to the water. Rod and line angling for sea fish other than Bass is permitted all year from a boat. All rod-caught freshwater eels must be immediately returned to the water alive. No trawling or trammel netting of any kind (Cornwall IFCA and Devon & Severn IFCA). Fixed engines must be tended throughout and set clear of navigable channels (see Port of Plymouth map for channels). No demersal mobile gear is permitted landward (up to High Water Mark) of a line following the western extent of the Devon and Severn IFCA district boundary and drawn between points 1 and 2 across Plymouth Sound. ( Point 1: 50° 18.484′ N, 004° 09.600′ W. Point 2: 50° 18.192′ N, 004° 04.458′ W. You can find a map of the area below. (Cornwall IFCA and Devon & Severn IFCA). There is a no access area for demersal mobile gear vessels – find chart here. Fixed engines set within three metres of the surface of the water at any state of the tide are prohibited in this area. (Cornwall IFCA and Devon & Severn IFCA). Any Salmon or Sea trout caught must be immediately returned to the water when caught in this area or in any coastal waters out to a six nautical mile offshore limit (SAFFA 1975, SECTION 27). Rod and line angling for Salmon and Sea trout can only be carried out within the allowed season. You must hold a current rod licence (EA1). For details visit the Environment Agency website. Rod and line angling for Bass and other sea fish is permitted all year from the shore, although all Bass under 42 cm in length must be immediately returned to the water. All Allis shad, Twaite shad and freshwater eel must be immediately returned to the water alive (Bass Orders). Fishing for Bass from a boat is prohibited from 1 May to 31 December (Bass Orders). Rod and line angling for sea fish other than Bass is permitted all year from a boat. Fishing for Bass, or fishing for any species of sea fish using sand eels as bait is prohibited from 1 May to 31 December (Bass Orders). No netting for any species at anytime in this area (Devon & Severn Inshore Fisheries Conservation Authority). No netting of any kind is permitted unless specifically licensed by the Environment Agency or the Devon & Severn IFCA. Any form of trawling or trammel netting is prohibited in this area (Devon & Severn IFCA). Any person fishing must comply with any directions given by the Queen’s Harbour Master. No boat-fishing of any kind or spearfishing within 100 metres of Naval Dockyard property. No boat-fishing of any kind or spearfishing within 150 metres of any naval vessels. No fishing of any kind on the line of any electric cable or pipe as indicated by posts or other discernible marks on the shore or is shown on current Admiralty charts. All lines used in connection with lobster or crab pots or similar devices shall be non-buoyant, and where any line of pots is less than 100 metres in length, only one end need be clearly marked, such mark must identify the owner of the said pots. No boat fishing within 125 metres of either side of the recommended tracks for vessels leading through Plymouth Sound to the Hamoaze as shown on current Admiralty charts. No trawling or fishing by any nets, long lines or rods in areas in which anchorage is prohibited. No trawling or fishing by any nets, long lines or rod from a boat. No laying, movement or lifting of lobster or crab pots, marked or unmarked. No installation of equipment in connection with fish farming.